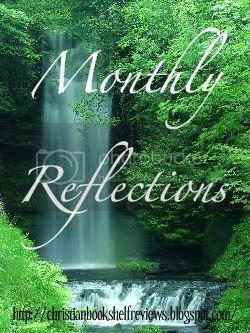 So I completely missed posting my Monthly Reflections post last month. Sorry about that! I will be combining both June and July in this post. Interview & Giveaway: Carol J. 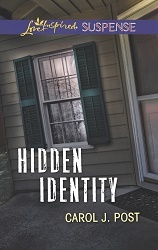 Post | Author of Hidden Identity! Welcome to Christian Bookshelf Reviews, Carol!! Will you tell us a little about yourself? My husband and I just celebrated our 35th wedding anniversary on June 13th. (And yes, it did fall on a Friday the year we were married.) We have two lovely daughters, two awesome sons-in-law and two cute grandsons. Everyone is about 1,200 miles away (except my husband), so the only children I have at home are my furry ones. What is your novel, Hidden Identity, about? 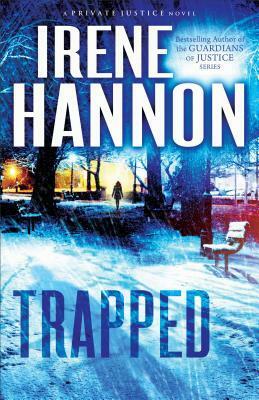 After becoming trapped in a web of blackmail and murder, Meagan Berry escapes by faking her death. She finds anonymity on Florida's Cedar Key until she is caught on camera rescuing a senator, and the nightmare begins anew. Something tells Cedar Key police officer Hunter Kingston that Meagan isn’t who she claims to be, but the fear in her eyes and the vulnerability beneath that aloof exterior reach out to him. When he learns the truth, he is determined to protect her, whatever the cost, because at least one person is dead set on making sure the next time Meagan "dies," it'll be for real. For as long as I can remember, I’ve loved to write. I was one of those strange kids that actually enjoyed doing book reports and research papers. In the late 1980s, my husband and I worked with Marriage Encounter, doing marriage enrichment weekends. We had to write out our talks ahead of time and send them to the lead team couple for approval. I really enjoyed writing those talks, and that’s what got me thinking about trying to write for publication. 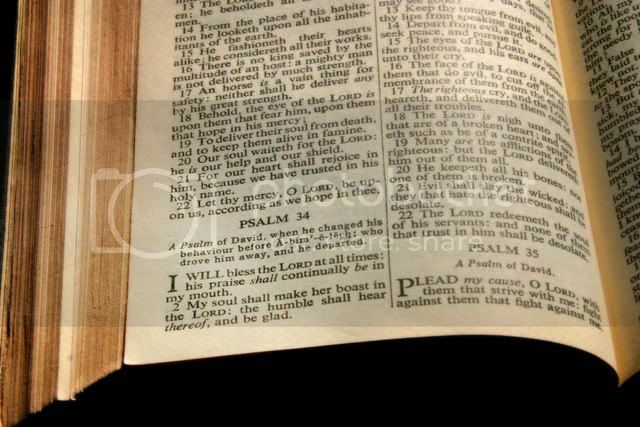 I started with articles for religious and children’s publications. Eventually I decided to try writing a novel, and many more years passed. It was my third complete book that finally got picked up by Love Inspired Suspense in 2012. I don’t have an office or write at a desk. 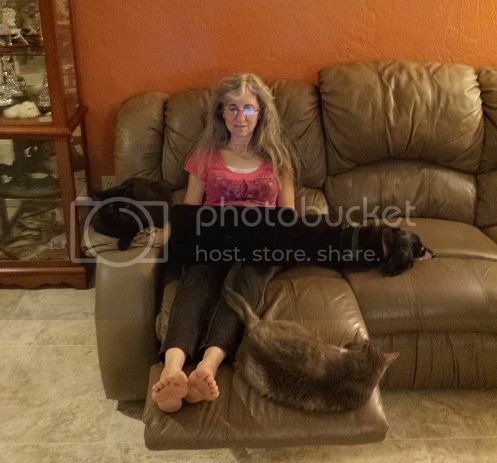 I alternate between the dining room table, the recliner, the screen room or a beach chair in the front yard. Whenever I get stuck, it’s usually time for a change of scenery. But wherever I choose to write, I always have company. Hike, swim, camp, sail, canoe, kayak—anything outdoors. When water is involved, it’s even better. I’m learning to play tennis, but I’m not very good at it. I would love to someday go on a Mediterranean cruise. I’ve had friends that have gone, and the pictures they brought back were incredible. I used to think I wanted to go on an African safari, until someone told me there are big spiders down there. That was the end of that dream. My favorite Bible verse is John 14:27. Jesus is speaking, and in the New Living Translation it says, “I am leaving you with a gift—peace of mind and heart. And the peace I give is a gift the world cannot give. So don’t be troubled or afraid.” In today’s world, we need peace now more than ever. I love the way it’s worded in this translation—peace of mind and heart. To me, peace of mind addresses worry and anxiety, and peace of heart covers the emotions. I think fall is my favorite season. Since I live in Florida, we don’t get the pretty colors, but I look forward to that first crisp morning. Well, maybe not crisp, but a little less hot and humid. I do love the colors, though, and whenever we can, we try to schedule an October trip to visit our daughters and their families in New England. Snowstorms or Thunderstorms? Thunderstorms. I love to hear the sound of the rain. Even the crash of thunder doesn’t bother me. And I hate the cold! Tea or Coffee? Tea, but it’s got to be herbal tea. Orange spice is my favorite. Call or Text? Text. It’s quick and easy, and can be done any time of the day or night without concerns of bothering someone. Cats or Dogs? It used to be cats, unequivocally. But a few years ago, I got my first dog, a long-haired dachshund who was a rescue. I am the center of her world, so I have to say it’s now a toss-up. Sneakers or Sandals? Barefoot. Oh, that’s not a choice. Okay, sandals. Fortunately I live in Florida and can wear them almost all year. Chocolate or Vanilla? Chocolate. Really dark chocolate, like 85 or 90%, the more bitter the better. I am currently working on two series—one for Love Inspired Suspense set in Cedar Key, Florida, and another for Love Inspired set in Murphy, North Carolina. The Murphy series is brand new. I’m finishing the first book. In the Cedar Key series, I’ve completed three books (Shattered Haven, Hidden Identity and Mistletoe Justice) and am starting on the fourth. I like setting books in places that I enjoy visiting. I have family in Murphy, and Cedar Key is just a fun escape. The second oldest city in Florida (behind St. Augustine), it’s quaint and artsy with a real “Old Florida” feel. My husband and I just spent our anniversary there a couple of weeks ago. 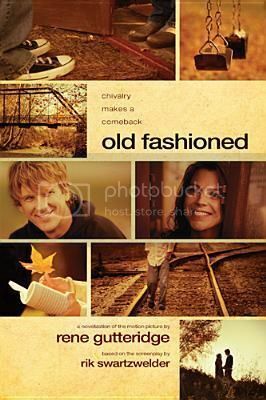 Former frat boy Clay Walsh has given up his reckless lifestyle and settled down to run an antique shop in a small Midwestern college town. Determined to put his partying ways behind him, Clay has become notorious for his lofty and outdated theories on love and romance. But when Amber Hewson, a free-spirited woman with a gypsy soul, rents the apartment above his shop, Clay can’t help being attracted to her spontaneous and passionate embrace of life. New to the area, Amber finds herself surprisingly drawn to Clay and his noble ideas, but her own fears and deep wounds are difficult to overcome. 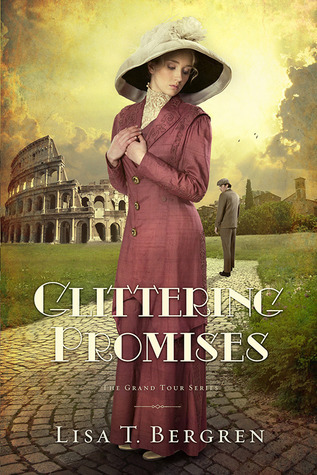 Can they move beyond their differences and their pasts to attempt an “old-fashioned” courtship?